There’s nothing like a summer vacation in scenic Door County, Wisconsin. Have you put off the search for Door County hotels and resorts? Although our beachfront resort fills up fast we may still have some availability for your last minute plans. Even the beach chairs on our Lake Michigan waterfront are waiting for you. The Door County sand is warm, the Lake Michigan water is refreshing, and the view is gorgeous – are you still sitting there? Call now or use our online hotel reservation form to book a room for your Door County vacation. It’s a great time to make the vacation plans that have been neglected. The front desk personnel at Glidden Lodge Beach Resort are waiting to assist you. It will be quick and painless and once you get here you will be so glad you stopped procrastinating. 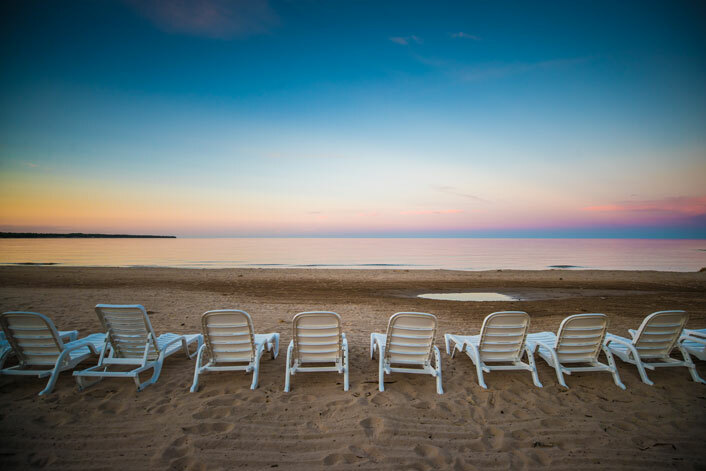 Our Sturgeon Bay location is central to all of Door County and our beachfront chairs are waiting for you to sit down and relax in front the beautiful waves. Not sure yet, please take a look around at our website and check out our online reviews. We feel confident that our resort is one of the best Door County hotels and we would be happy to answer any questions you might have. So reserve your Door County vacation resort room before the season passes you by.